KABUL, Afghanistan — An explosion struck near an anti-Taliban rally in the Afghan capital on Monday, killing at least three people, officials said as authorities reported that the insurgents killed at least 20 members of the country's security forces over the past 24 hours in eastern Ghazni province. It was not immediately clear if the blast in Kabul was from a bomb that was detonated by remote control or from a suicide bomber. The explosion took place about 500 meters (yards) from where hundreds of minority Shiites had gathered to denounce the latest Taliban attacks in Ghazni districts of Jaghuri and Malistan. Najib Danish, the Interior Ministry's spokesman, confirmed the explosion but could not immediately provide more details. 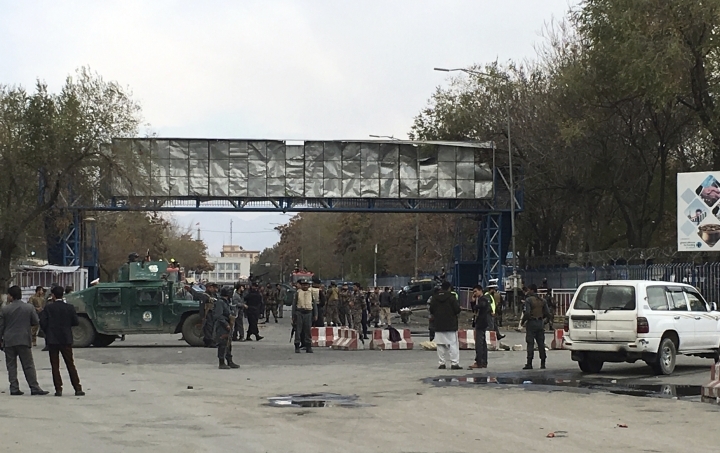 Wahid Mujroh, spokesman for the Health Ministry, said so far at least three were confirmed dead while eight wounded people were brought to hospital. Local media in Kabul said the explosion, which also took place near a high school, was set off by a suicide bomber. 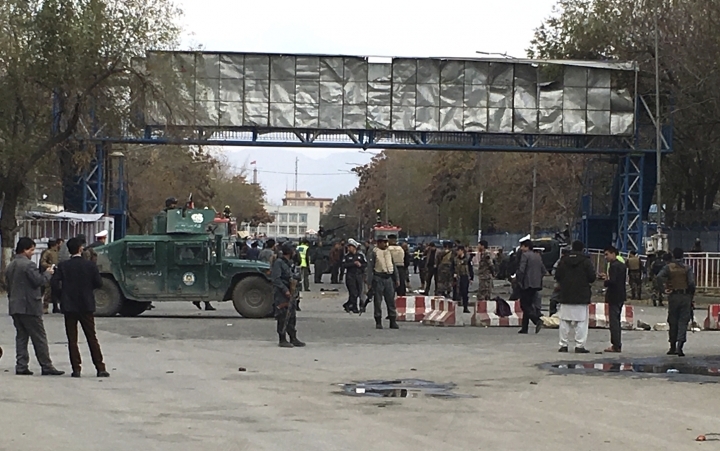 Both a resurgent Taliban, who now control nearly half of Afghanistan and stage near-daily attacks on Afghan forces, and the Islamic State group's affiliate in the region have been behind many recent Kabul attacks and bombings. Meanwhile, Afghan lawmaker Ali Akbar Qasemi said fighting since Sunday in Ghazni has focused on the district of Jaghuri where 20 policemen have been killed. The Afghan army chief, Gen. Mohammad Sharif Yaftali, told reporters that government forces have sustained casualties in the battles but declined to elaborate on specifics or say how many were killed. Taliban spokesman Zabihullah Mujahid claimed responsibility for the Jaghuri attacks and claimed in a text message sent to the media that the Taliban have also captured Ghazni's district of Malistan. There was no immediate response from authorities on the Malistan claim. In August, the Taliban overran parts of the provincial capital, also called Ghazni. At the time, hundreds of people fled the city amid intense fighting between Afghan forces and insurgents that killed about 120 members of the security forces and civilians. According to Afghan authorities, nearly 200 insurgents, many of them foreign fighters, were also killed.